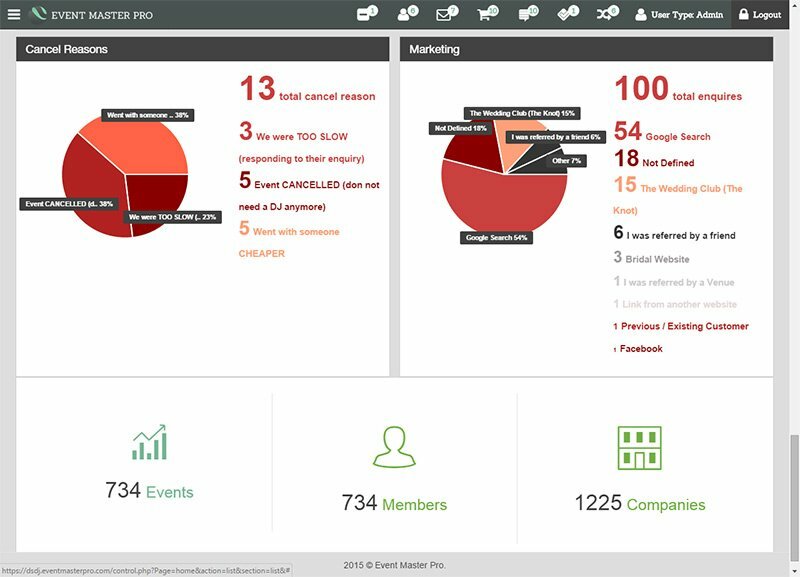 Event Master Pro provides you with essential reports to help you grow your DJ business. Empower your business with the information you need to know such as where are your customers coming from, why they are cancelling, how many enquiries and sales you are making each week, month year and so on. 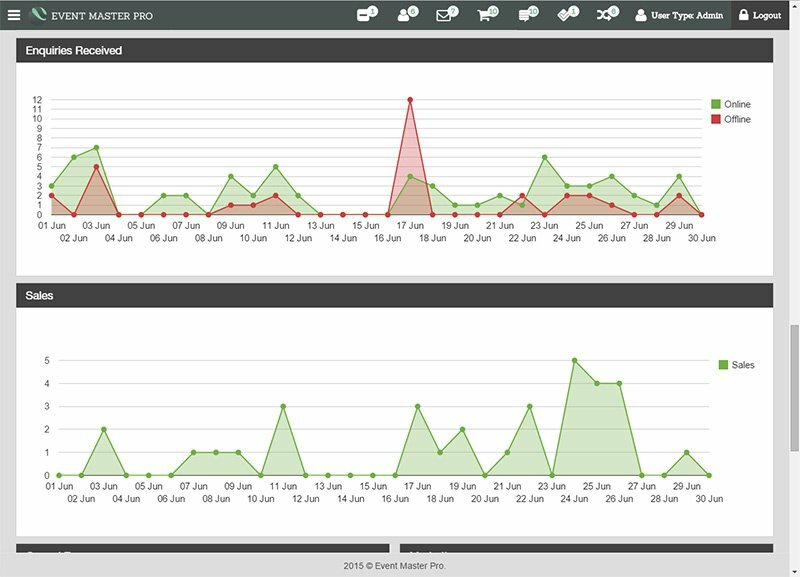 In the reporting area and on the dashboard you can see a line chart of your enquiries received and sales made over time. It is imperative you are aware of your enquiries increasing or decreasing over time so that you can detect issues early on. Sometimes marketing efforts can change over time for good or worse, either way you need to know. The below chart shows enquiries received both online (green) made via the enquiry form and offline (red) made via phone or word of mouth. These charts can be changed to show daily, weekly or monthly intervals so you can see patterns forming, such as a gradual increase or decrease of numbers.